New Fairy Tail is out. Sorry about there being a lack of spoilers here this week but we’re all pretty capped. 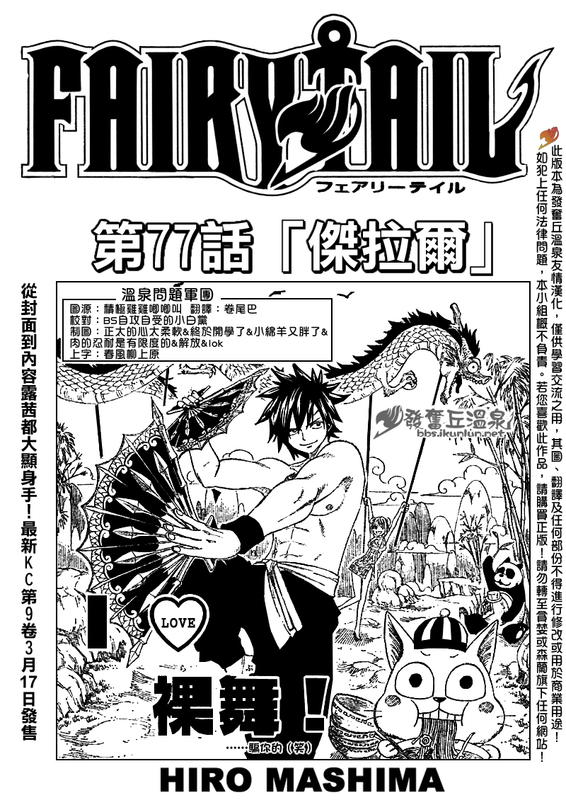 Yay, new Fairy Tail is out. And today in a double page special, without the lazy taking a week off crap. This chapters going more in depth about Erza and more explains about her past. Which means all that stuff about Jeral will be cleared up soon enough. 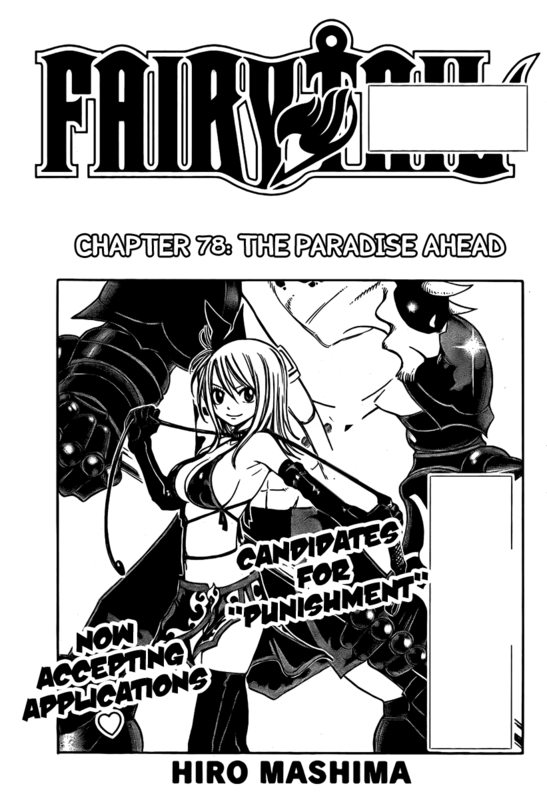 The newest chapter of Fairy Tail is out, and wow, it has got me thinking. I’m sort of confused now. 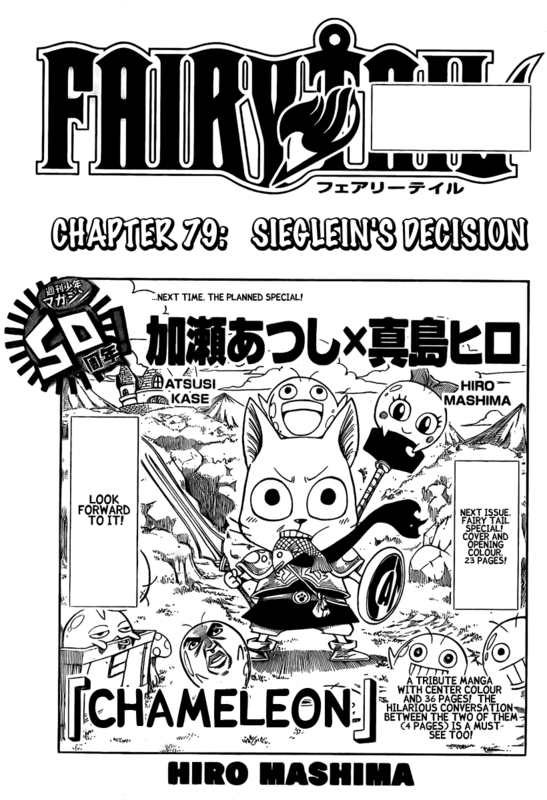 It sort of has been confirmed the Jeral in Erza’s past is Sieglein. But now Sieglein is somewhere else. 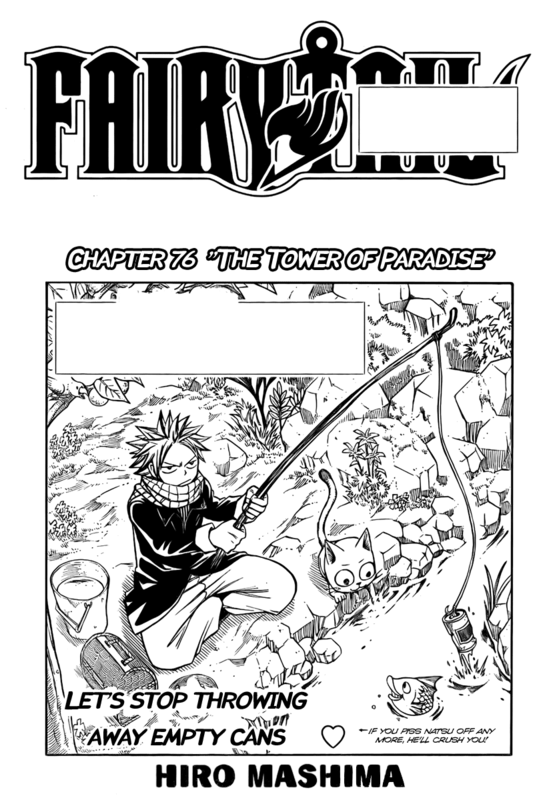 And another Jeral is in the Tower of Paradise… Doppelganger? Besides all that, this is sort of a build up chapter, and the cover confirms it too. Next chapter will have more pages and colour spreads, so it’s going to be important! Okay, for some reason this week Fairy Tail is a little slow. But the Chinese scan has been out for a while.